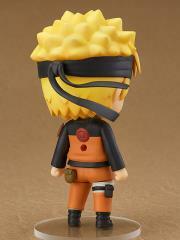 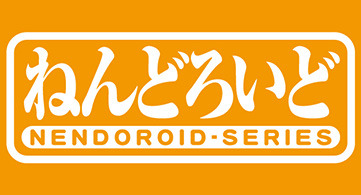 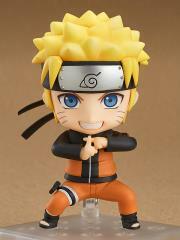 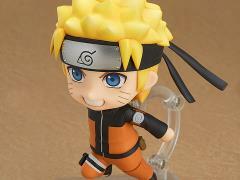 From the popular anime series 'Naruto Shippuden' comes a Nendoroid of the main character, Naruto Uzumaki! Nendoroid designs are known to make the characters look younger than normal, but the confident expression of the grown-up Naruto has been faithfully captured in cute Nendoroid size! 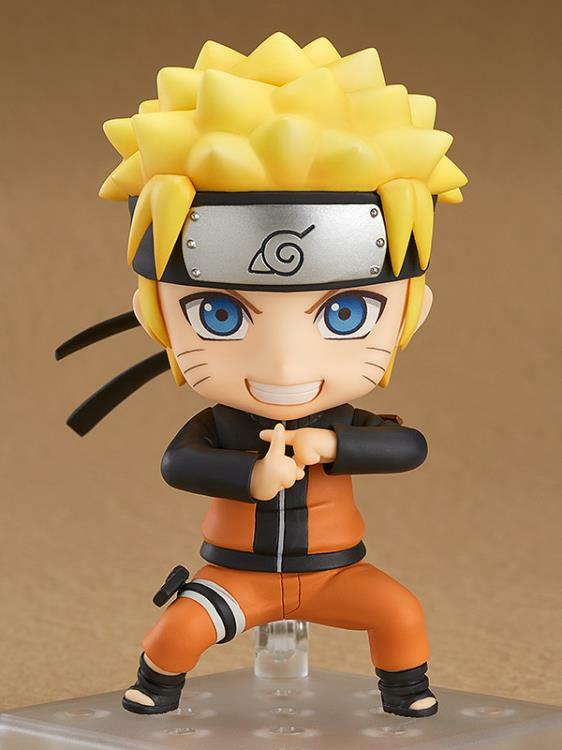 Effect parts for both the Rasengan and Rasenshuriken are included to pose Naruto making use of two of his most memorable ninjutsu techniques, and both parts make use of a translucent material which make for a cute yet impressive appearance! 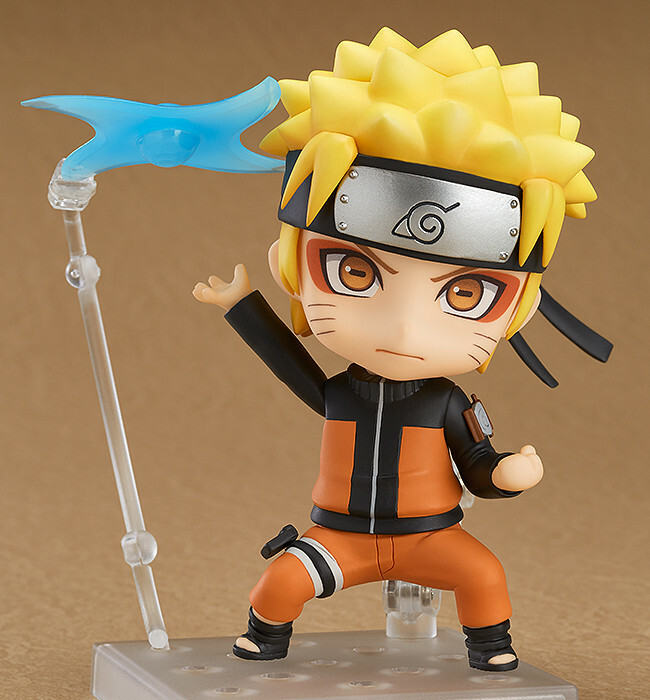 Naruto can be posed holding the rasenshuriken as well as throwing it by making use of the special stand which allows it to be displayed floating high up in the air! 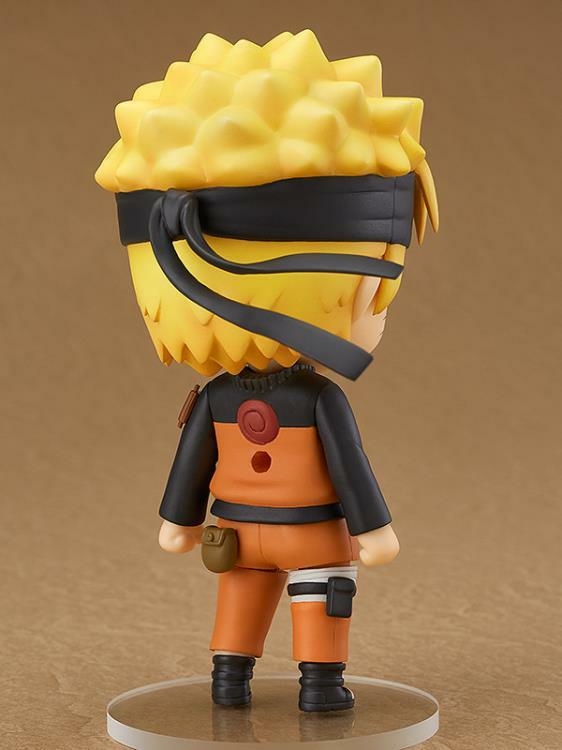 The hand seals used for his techniques have been adorably shrunk down into Nendoroid size, and the wrist parts are interchangeable which means you can make use of other hand parts to recreate different hand seals! 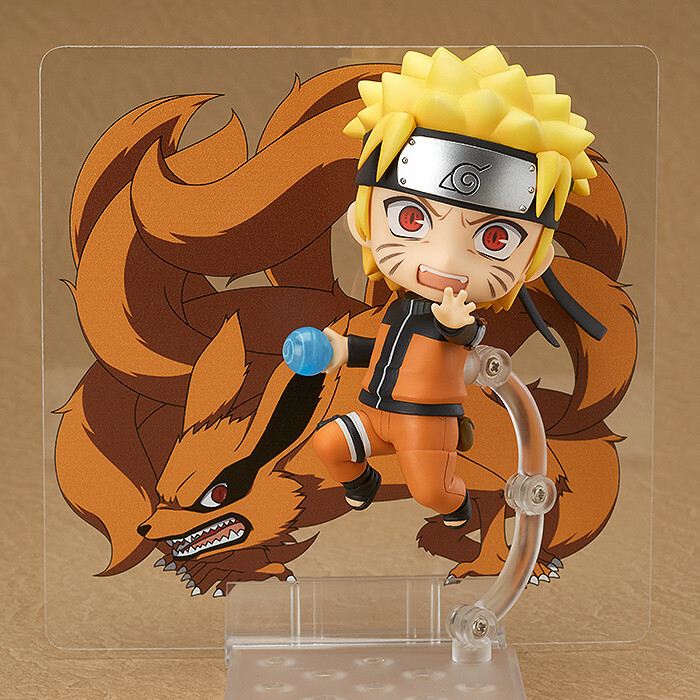 In addition, a special illustrated sheet of the tailed beast 'Kurama' is included to display Naruto interacting with the powerful Nine-Tails!